Of course, the state of the economy plays a large part in the decision of whether or not to invest in CIS. But since CIS is vital to the survival of the utility, it cannot be ignored. Over the last few years, when the economy was dragging, many utility companies adopted a wait-and-see attitude toward new investment in CIS. But that could be changing. Before spending lots of cash on CIS, it is important to know what factors to examine in deciding what systems need to be implemented. spoke to the experts to help decipher key challenges confronting companies as they make CIS selections. Jay Jerrier, vice president of client services for Alliance Data System's Utility Services Group, says investment in CIS is beginning to open up as utilities start to look at where they can maximize their investment dollars. Jerrier sees utilities starting to examine whether they want to continue to invest in legacy systems or upgrade. 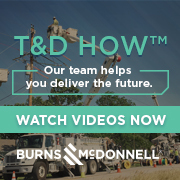 "I think most utilities are getting to a back-to-basics philosophy, where they are looking to drive efficiencies and help show the commissions that they are doing their part to help support rate case decisions, or to just drive the overall improvement in their business," Jerrier says. He attributes that philosophy to lower credit ratings for utilities and poor financial performance. The result is that they have to get creative and look for new alternatives.